Industry Experience. 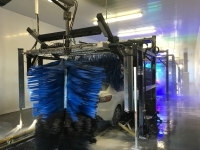 With over 40 years of experience in the car wash industry. We are qualified to help you with all aspects of the business. From choosing the best Location to operating secrets to boost revenues. We have the knowledge and experience to help you avoid costly pitfalls that other owners have made. We Are Specialists. All we sell are car washes!!!! We don't do residential real estate, we don't do any other types of Commercial Real estate. We stick to what we know! We Sell Washes. We have the Real Estate and Finance background to get you from contract to closing. We know the negotiating secrets to get you the best possible price, and the the sales experience to guide you through the hazards of the due diligence and financing process. Post Closing Benefits. After you have purchased a new wash, we are just getting started. We know how to get and maintain the best equipment, how to best market your wash, how to maximize profits and be successful. Owners Perspective. We are not only Experienced Brokers, we are owners as well. 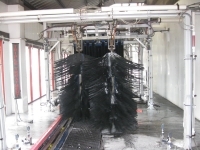 We have personally owned and managed carwashes so we are aware of the keys of operating a successful carwash. We just recently celebrated the opening of an additional location. The Company We Keep. We understand the importance of surrounding ourselves with the best possible people. We have established relationships with the most knowledgeable professionals in the car wash industry. Equipment manufacturers and distributors. Chemical specialists. vendors of all types of products.